I published my first book when I was eleven years old. Fresh off my victory for top fifth-grade writer in my school district (for a landmark collection of poems, headlined by “My Digestive System Makes a Wish”), I set upon my passion project: a science fiction novel. I don’t remember anything about it, now. I typed it up on sunny afternoons on the family Macintosh Plus, and while I still have the floppy with the file, I have no way to read it. It must have been more than five pages long. After spending twenty minutes printing it on the dot matrix, I made a gorgeous cover out of construction paper and submitted it. It was my first hint that I was not a novelist. I spent my twenties trying to write novels, because I was bad at the guitar and I thought those were my only two options. They rarely made it past a thousand words, mostly because I was a poor, shy, white male and had nothing to write about. A few ideas clung to life for a dozen pages: a romantic comedy about a guy with chronic fatigue syndrome, whose consciousness randomly snaps forward minutes or hours into the future; and a narrative about the afterworld, where lost souls collected in random makeshift purgatory-cities and fought off boredom and despair that caused them to die again, and disappear. Now that I write that, the second synopsis still sounds pretty good. But plot is hard enough without discorporeality, and so it never went anywhere. I published my second book a couple of weeks ago. This afternoon we sat in the grass in the warm sunshine. You helped me water the strawberries, raking the moist earth with your little plastic shovel, flecking your clothes with mud, stepping on the tender leaves with your boots. We collected rocks and you commented on each one, placing them in my palm and taking them out again, organizing them in some inconceivable, shifting pattern. You were fascinated by these rocks: all basically round, all basically beige, some small and some large. I wanted to extract that excitement out of you, distill it into some elixir. A blue jay flew and landed on the dead tree growing out of our deck. You won’t remember that tree, because it’ll be gone soon: a beautiful cherry that flowered when we bought the house, six years ago, amid one of those random April two-inch snowstorms. It struggled through one more season and then died, branches crumbling in every windstorm, moss shedding onto the deck like the remains of a cemetery bouquet. The blue jay sat trembling on a weak, thick branch, and you cried out to it, “Hello, bird!” For a moment I couldn’t understand why it wouldn’t answer. We watched birds for twenty, thirty minutes. At first you ran toward them, and they disappeared behind the trees or onto roofs. But you heard the songs with your cupped, little ear; you knew that the birds were never really gone, and that was the thing I wanted to make sure you understood. There were two jays and the shadow of a hummingbird high in the sky. You pointed at them each time and called out, “there it is!” until your mother came home and we had to go to dinner. It would have been fitting if the Mariners had played the Blue Jays tonight, but they didn’t; instead, it was the last place Rangers. The games are quick these days, and even with a rain delay, I only caught the last half inning as the Rangers attempted one last comeback against Mariners closer Fernando Rodney. We listened to it while I gave you your bath. Rodney is known for being climactic, in the good and the bad way, of testing the edge of one’s nerves. But this particular story had no climax. The Mariners won easily, 3-1. We put you to bed, and then I went to bed as well and read Montaigne. Montaigne wrote a little like the way I’m writing now, wrote self-indulgent and personal and pointless recollections that he hoped people might read. They did, and it’s good that they did. The book’s first essay is about idleness, and how the free time of his retirement unleashed rather than calmed his mind. “[It] …creates in me so many chimeras and fantastic monsters, one upon another, without order or design, that, the better at leisure to contemplate their strangeness and absurdity, I have begun to commit them to writing, hoping in time to make it ashamed of itself.” It’s a fancy way of saying that he was a writer, and that he needed to write. It’s an unconscious element of drama, a glimpse of turmoil. I don’t know if you’ll be a writer, if you’ll feel that same pang of guilt that comes with writing, and not writing. It’s strange that we all feel the need to justify it, as if it’s an element to a story, a character motivation. But even though I’m writing about it, today was no story, had no rising or falling action. Today was just existence, just pinecones and bibimbap and a win expectancy chart that looked like a straight line. You will have your own drama someday, your own Fernando Rodney Experiences. But never feel guilty for the days that are easy wins. As we lurch toward the centennial of the Black Sox scandal, it’s as good a time as any to remember the most interesting aspect of the disaster: how the corrupt baseball players went about betraying their comrades. Advocates of Shoeless Joe Jackson quote his World Series performance, which included a .375 batting average and zero errors. Swede Risberg worked harder for his pay, slashing .080/.233/.160. But Nemo Leibold had nothing to do with the fix and still only got one single and one walk in 19 plate appearances. Finding a cheat amidst the wild jungles of small sample size baseball is no easy thing. Cheating is bad. But what if this kind of cheating weren’t actually cheating: what if taking a dive were part of the game? What if traitors were baked into the game? This isn’t something you could do over the long-term, of course, particularly in the major leagues; it’d be better suited for an exhibition game, or perhaps a summer camp activity. Especially since this is baseball based on a time-honored summer camp favorite: the party game, Mafia. The concept: teams are chosen randomly, by giving each player a facedown playing card. Players are not allowed to reveal their cards. Red cards play against black cards. The twist is that two people from each team, the players who draw the queen and king, are not actually playing for their own team. They are the traitors, and have been assigned to be double agents. Welcome to the second entry in a long-running series, in which we take select well-known military leaders and rip them out of their historical context, unfairly gauging how they would perform in the role of professional baseball manager. Despite the endless font of human conflict in human history, we remain in the Great War, this time selecting the commander of the British Expeditionary Forces, Field Marshall Douglas Haig. Few leaders have suffered so much ignominy in victory as Haig, whose tactics not only decimated a generation of young men, but did so in perhaps the most senseless of fashions. Beloved in his time, history hasn’t been kind on this particular mustache, and now he is probably most famous for being satirized by Stephen Fry as General Melchett in Blackadder Goes Forth. “The Butcher of the Somme” threw wave upon wave of his soldiers into no-man’s land, over broken earth, barbed wire, poison gas, and machine gun turrets. 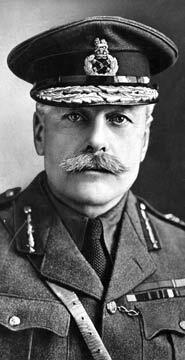 Strategic Tendencies: Haig cut his teeth on the Boer War, where he developed a fondness for the quick strike capability of cavalry. Twenty years later, he was still searching for mobility to provide him with an early, decisive blow against the enemy, destroying their morale. The running game would be a major part of his arsenal. 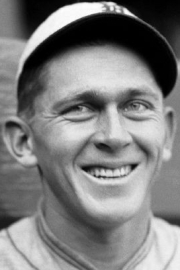 An inveterate optimist, Haig would call a hit-and-run every time a runner reached first, because he couldn’t imagine that the hitter would swing through the pitch. That same philosophy of manifest destiny would cause him to overwork his pitchers badly, in part because he would believe they could draw on that last little ounce of magic, and in part because changing strategies mid-battle was a sign of weakness. Defensive Philosophy: You don’t win wars or baseball games by defending. It’s a fact. Roster Construction: Haig wouldn’t worry about relief pitchers, reverting to a fifties or sixties-era bullpen. Instead, he’d provide himself with a large bench, mostly of fleet runners, and expend them early and often in order to press any hint of advantage. Chemistry and Leadership: Despite his failures, Haig hung on to his job in part because he was able to swim in the center of the political spectrum, showing loyalty to his subordinates until it became politically dangerous to do so. As a manager, Haig would be very hands-off; he’s the kind of guy who would visit the mound, have his pitcher tell him he could get the next guy out, and believe him. His mediocre public speaking skills and boundless, repetitive optimism would have made him a legendarily terrible postgame interview. Best Fit: Haig is a man who fought as if there were no tomorrow, both in terms of courage and foresight. So, the San Diego Padres. Witnesses of National League baseball are aware that pitchers are terrible at hitting, and the numbers prove that they’re getting worse each day. The designated hitter looms over the league like global warming, a depressing inevitability, threatening to wipe out the rich tradition of the double switch. What was once a weakness that encouraged strategy is now a perfunctory strikeout, a waste of everyone’s time. Pitchers in 2014 hit at a .122/.153/.153 clip, the worst in baseball history. At least until 2015, when they’re even worse, mustering a mere .099/.115/.117. Their collective wRC+ is -34, which would be okay if the average were zero. It’s not. It’s 100. Any time a pitcher reaches base and manages to get all the way around to score, it counts as three runs. Brett Lawrie’s shenanigans, and the retaliatory shenanigans and pre-emptive shenanigans that naturally resulted from them, have forced a sleepy media to turn its attention to this nearly-forgotten aspect of America’s game. You’ve already read about take-out slides and stealing up K runs in the Nth inning, but here are some other behaviors that, while not technically against the rules, are generally frowned upon by those within the game. Baserunners using the first baseman as a captive audience for performing impressions. Crying out “Whoopsadaisie!” while sliding into a second baseman on the neighborhood play. Attempting to convert the religion of opponents in the middle of the game. Refusing to leave the batter’s box after a strikeout to end the inning, even after the teams have switched sides and another batter is ready to step in. Taking off their batting gloves after a base hit and handing them to the first base umpire to deal with. Baserunners stepping on the pitcher’s mound and drawing emojis on the dirt with their feet. Catchers using small sample size when trying to distract and infuriate an opposing batter. Failing to cover your mouth when you yawn. Fielders tossing a ball into the stands, but intentionally throwing it to a bunch of drunk college bros instead of the child sitting next to them. Instead of using eye black, painting a realistic second set of eyes below your real eyes just to gross opponents out. When I was a young boy, around three or four, I had two cartoons. This is not an indictment of my socioeconomic status, but rather my age: this was the early eighties, when entertainment was still in its nascent form. I had two cartoons, and I also honestly owned a set of Pick-up Sticks. The two cartoons were television specials hand-taped onto Betamax cassettes: one Garfield, one Bugs Bunny. Because I was a child and because children can consume infinite animation, I watched those videos over and over. There was only one problem: I was allowed to watch the Betamax, but I was not allowed to operate the Betamax. 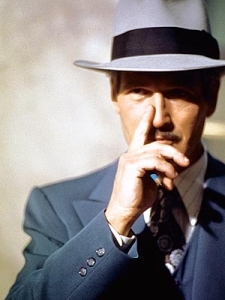 My father worried that the forbidden knowledge of the VCR would end in me recording over his collection of Poirot movies, so I was forced to rely on him for the starting, and the stopping. This is important. It is important because my episode of “Knighty Knight Bugs” happened to be taped over a recording of An American Werewolf in London, with the cartoon ending specifically at the moment when the eponymous werewolf tore out a man’s throat. In the months after my daughter was born, I spent a significant portion of my time in the little library at the end of my house, in the dark. That was what I called the Pacing Hour – although in fact the durations were often far greater, or the sense of time far more meaningless – as I cradled a tiny being disappointed with life, and circled the small room, an electric fireplace the only source of light. Pacing Hour was difficult for me. I was tired, of course, though I am always tired. But the baby required a specific kind of non-attention, just enough to prevent me from being asleep on my feet or awake. She had to be held at a specific angle, head on shoulder, weight distributed just so, or she would cry. Switching arms, switching positions to relieve a sore arm: these were impossible. The pace was also specific and mandatory, and became a waltz to an unheard rhythm, a specific number of steps at a specific gait, a turn on the ball of the feet. I struggle, always, when I cannot think. I think all the time – in traffic, in bed, in the middle of a set of instructions from my wife – and even a moment of boredom, of motionlessness, chafes at me. I tried to listen to an audiobook at first, David Copperfield, but the intermittent cries made plot impossible. I gave up and sank into a state of numbness, a temporary death, feeling nothing beyond her sluggishly breathing into my neck. The game is tied in the eighth. Casilla hangs a slider and moments later, a baseball lands in the seventh row of the bleachers. Twenty-six people claw at each other as the ball glances off a glove, strikes a seat, bounces back into the air. The rest face Yasiel Puig. As his teammates congratulate him with their own high fives, he grins. Even though he knows that this, too, is an imperfect reflection of his soul, he cannot restrain it. Someday, he thinks, as he finds a spot on the bench and sips some water, I will remain Yasiel Puig even after I hit the ball. Someday I will not run the bases. Someday I will hit the ball, and walk out to the wall and climb it, and pick it up. Dan April was a 38th-round draft choice by the Tampa Bay Rays. He did not pitch in April. He barely pitched at all. He came in relief for a single game of low-A ball, pitched 1.1 innings of scoreless relief, and then immediately quit. He’s one of the few players to know in advance it’s their last game. For most, even if it’s the end of the season, there’s always one more year, one more spring training to get some balls to fall in, to get that curve breaking. And if it’s a demotion, there’s always a trade, a chance to claw back to the bigs. There’s always hope. June Greene probably knew it was his last game. If not right away, at least by the end. Asdrubal Cabrera is on pace to hit .250 over the course of 162 games. Phil Hughes, if he keeps it up, will end up pitching 192 innings. The Seattle Mariners are on pace to score 648 runs, 25th most in their 38-year history. 50% of teams were incorrectly disrespected by the national media, and are on pace to continue to prove the haters wrong. The Cincinnati Reds are on pace to play 162 games this season. Marty Brennaman is on pace to announce 162 games this season. Edwin Encarnacion is on pace for 0 game-winning RBI, because they no longer exist. You are on pace to be disappointed that jokes, like shoes, baking soda and hearts, eventually wear out. Yu Darvish is on pace to miss the entire 2015 season. CC Sabathia is also on pace to miss the entire 2015 season. You remain on pace to die in the next 30-60 years.